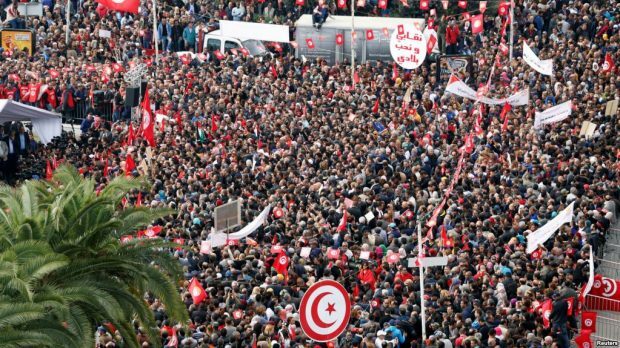 Tunisia’s biggest union, UGTT, started a nationwide strike Thursday affecting the country’s airports, schools and state media to protest the government’s refusal to raise the salaries of 670,000 public servants. This strike affects Libyans the most as the Libyan airliners depend on flying to Tunisian airports and then Libyans can go from there to other countries in Europe and elsewhere, since Libyan airliners are banned from flying to European countries due to security issues. Libyan Wins, Al-Afriqiyah Airways, Libyan Airlines and other operators have already suspended flights for today over the Tunisian strike.